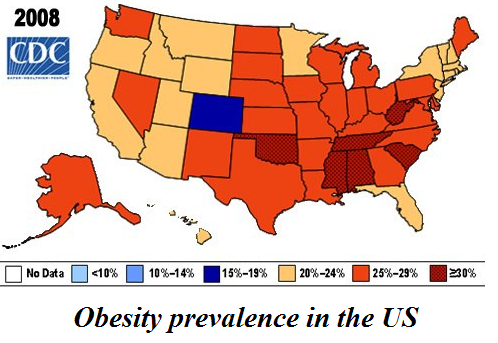 Obesity has more than doubled since 1980. 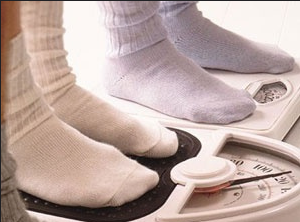 Around 2 billion people are overweight, and 600 million of these are obese. 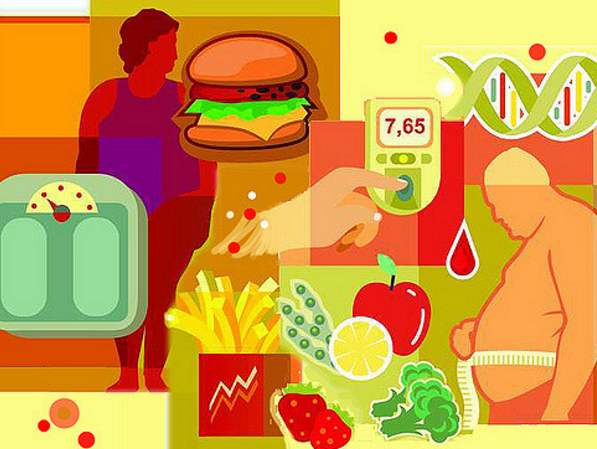 Many factors lead to obesity such as: nutritional trends, availability of very delicious foods, changes to the urban environment, economic stresses, and others. Biologically, obesity occurs when calorie intake is greater than energy requirements during a long period of time, without acceptable energy expenditure. Excess calories are stored in the body as energy reserves (in the form of glycogen or fats) and they are used in the case of increased need for energy or when the body is starving. Therefore, if there is a proper balance between food intake and energy expenditure, obesity will not occur. The amount of food we eat is controlled by survival and reward (also known as hedonic eating) mechanisms through metabolism of the body and our pleasure senses, like smell and taste. When specific neural signals in the brain are compromised, these two systems can become unbalanced, causing pleasure to take over, which can result in overeating and obesity. The researchers, from the Neuroscience Program in Substance Abuse (N-PISA) at Vanderbilt University, USA, say that the incidence of obesity can be reduced by understanding the mechanisms which leads to overeating. They have conducted several studies in order to understand what can be the cause of overeating in obese and overweight population. Their studies showed that: “A high fat diet (such as butter, cooking oils, mayonnaise, fried foods, chocolate, pastries etc…) causes people to eat more, even though they might be technically feeling full, which ultimately impair the ability of obese people to successfully control their caloric intake, lose weight and maintain weight loss.” Their newest study reveals specific signaling pathway (insulin signaling) in the neurons circuits which may be the cause of overeating high fat foods for pleasure. This insulin-signaling pathway that controls movement, motivation and attention also determines the amount of high fat foods consummation. When this pathway is in some way disrupted, the body’s natural homeostatic mechanisms can be shifted in the favor of reward mechanisms and person will overeat high fat foods. Researchers have found that there is a specific group of group of proteins involved in insulin signaling in the brain called Rapamycin complex 2 (mTORC2). Study on mice showed that when the part of mTORC2 was taken out from their genetically altered brain cell, mice without a mTORC2 ate high-fat food excessively, however this was not a case when a low fat food was provided. It has been also found that mice without appropriate mTORC2 function also had a smaller amount of neurotransmitter dopamine in specific regions of the brain, and it is known that lower neural dopamine transmission in the brain is associated with obesity in humans and animals, and also in substance abuse. “Our findings reveal a system that is designed to control eating of rewarding foods that are high in fat and possibly sugar,” said Dr. Galli. “This system can be hijacked by the very foods that it is designed to control. Eating a high-fat or high-carbohydrate diet feels rewarding, but also appears to cause changes in the brain areas that are involved in controlling eating, by causing for example insulin resistance. New studies will be based on restoring mTORC2 signaling in obese mice to see whether it leads to them eating a normal amount of food. One study show that when exposed to the same high-fat diet, mice with lower dopamine’s receptor (D2 receptors) density in the specific part of the brain called putamen show more weight gain compared to mice with higher D2 receptor density in same region. Mice with higher levels of dopamine in brain show increased motivation to consume food. Positron emission tomography (PET) studies found that obese compared to skinny adults show less D2 receptor binding and that D2 receptors in the striatum (component of the reward system in the brain) are reduced in morbidly obese individuals in proportion to their body mass, and this can be also correlated with lower resting metabolism, which may contribute to overeating because of reduced inhibitory control. By following these recommendations you can begin to remove high fat from your diet and get on a good path to healthier eating.